Yusung C & C Ltd.
Cheong A Good Food Co.,Ltd. Blue Stone D&I Co., Ltd. User Creative Robot Co., Ltd.
SGS Testing Korea Co., Ltd. In 2010, the country spent 7.6% of its GDP on all levels of education – significantly more than the Organisation for Economic Cooperation and Development (OECD) average of 6.3%. The country has fostered an education system that helped transform the country and rapidly grow its economy over the past 60 years.South Korea’s zeal for education and its students’ desires to get into a prestigious university is one of the highest in the world, as the entrance into a top tier higher educational institution leads to a prestigious, secure and well-paid job with the government, banks, a major South Korean business conglomerate such as Samsung or LG Electronics.With incredible pressure on high school students to secure places at the nation’s best universities, its institutional reputation and alumni networks are strong predictors of future job and career prospects. The top three universities in South Korea, often referred to as "SKY", are Seoul National University, Korea University and Yonsei University.Competition for top marks and studying hard to be the top student is deeply ingrained in the psyche of South Korean students at a young age. 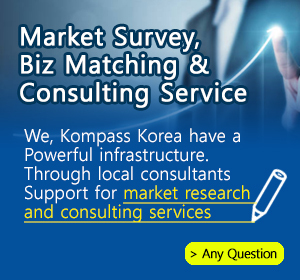 With over 100 South Korean companies registered in the Kompass B2B worldwide database, the Education, Training & Organisations sector represents one of the smallest activity sectors within our database. This family includes school, universites, associations, social servies, etc.